If you’re worried about applying for a loan because of your poor credit score and credit history, why not use your vehicle as credit for a loan application? When you apply for an equity loan through car title loans Prince George BC, you will not be required to undergo a credit check to determine your credit history and credit score. With equity loans, such as car title loans, your maximum loanable amount of up to $35,000 will be determined based only on your vehicle’s true market value. This means that only factors pertaining to your vehicle, such as its year, make, model, mileage, and engine condition, will affect how much you will be allowed to borrow. You will not need to worry about getting stuck with monthly payments that you cannot afford when you apply for a car title loan. Thanks to flexible payment plans that are catered to your specific financial needs and payment preference, you’ll be able to pay off your car title loan with ease no matter how small your budget may be. 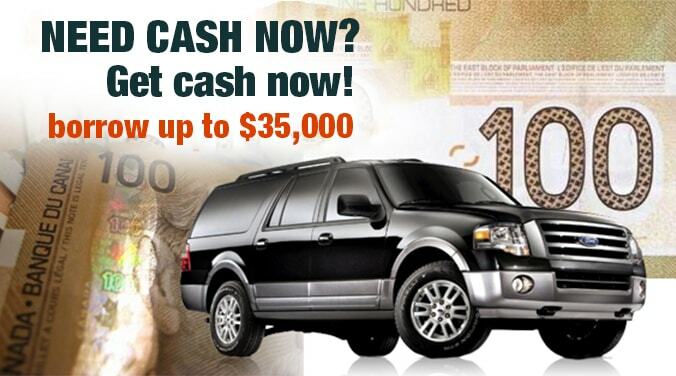 When you apply for a car title loan through Fast Cash Canada, you are guaranteed long loan terms with the most minimal interest rates. To apply for a car title loan today, you can call us at our toll-free number 1-(888)-511-6791 or you can log on to our website in order to submit your car title loan application online.